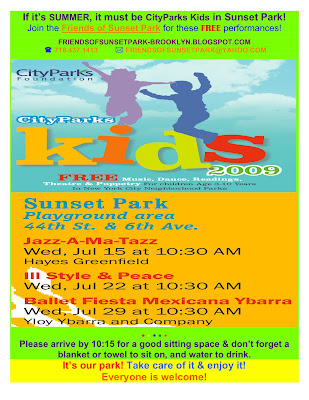 Ill Style & Peace will provide this Wednesday's entertainment at 10:30 AM in the Park. As far as I can tell, this show will include music, dance, puppets, and readings. It's geared towards ages 3 - 10. That's courtesy of the "Where to Go" calendar from The Brooklyn Paper.